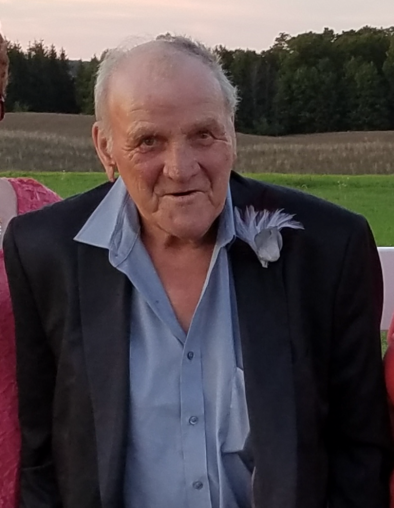 Jerry “Butch” Ordway, 76, of Alba passed away on September 9, 2018 at his home. Jerry was born on August 13, 1942 in Owosso, MI to Kenneth and Harriet (Vautherot) Ordway. He was a longtime member of the Alba Sportsman’s Club, and he most enjoyed fishing, hunting, mushrooming, coin collecting, and of course drinking beer. There was always a seat for him at the Green Lantern. He also liked to watch sports, especially his Detroit Lions and Tigers. He is survived by his children, Crystal Eckert of Mancelona, Paul (Dana) Eckert of Gaylord, Diana (Jimmy) Phillips of North Carolina, Jerry Ordway of Mancelona, Elisa (Jeff) Coan of Elmira, and Leah Gaudette of Mancelona; two brothers, Roland Ordway, and Barry (Kathy) Ordway; three sisters, Marilyn Miller, Patricia Milligan, and Sharon (Jerry) Huffman; Aunt Marion Louch; 13 grandchildren, and 12 great grandchildren. He was preceded in death by his parents; wife Anne Ordway; brother Donald Ordway; great grandson Conner Gersch; and special friend Janet Alford. Visitation will be on Wednesday, September 12, 2018 from 4-8 p.m. at the Mancelona Chapel of Mortensen Funeral Homes. Funeral services will be held on Thursday, September 13, 2018 at 11:00 a.m. also at the Mancelona Chapel of Mortensen Funeral Homes. Interment to follow at Fairview Cemetery, Mancelona. Memorial contributions may be made to the Alba Sportsman’s Club.